Our On the Movies Quad Core Android Tablet makes a great gift for young kids. Most appropriate for children in the 2 - 8 years age range. With an 8GB memory expandable to 32 GB through micro SD slot, you are sure to have enough storage space for many more games and apps, and films. USB slots allow the tablet to connect to TV to play your downloaded films on the large screen. Dual Camera and 4 hours of play time on one battery charge are also features of our high quality tablet. Most importantly the tablets have a special bumper protective casing to help protect against those inevitable knocks and bumps! Our tablets are currently available in either pink or black. Please specify when you Order. Our tablets can be used either on their own, or in our range of �On The Movies� backpacks. 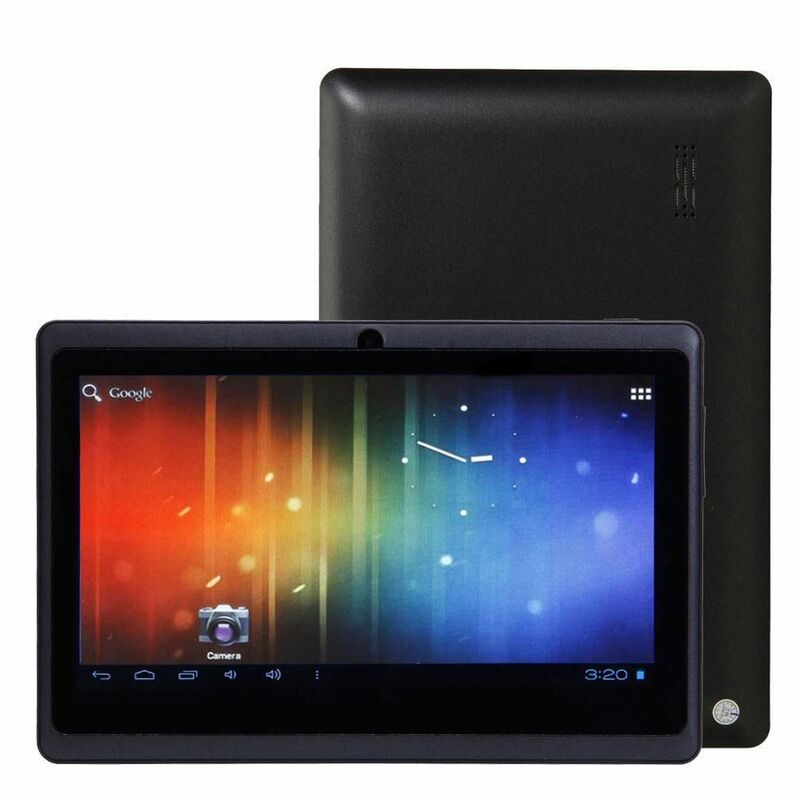 Great Value at only �49.95 our high quality tablet comes with a 12 month Guarantee! Good resolution screen, Quad core processor, and built in 8GB memory makes it a winner for playing games,watching films and accessing the internet.